Everyone’s got London fever this Olympics season! The Collabor-eight will be featuring tons of Olympic treats (including a hot giveaway: coming soon!) over the next couple of weeks. 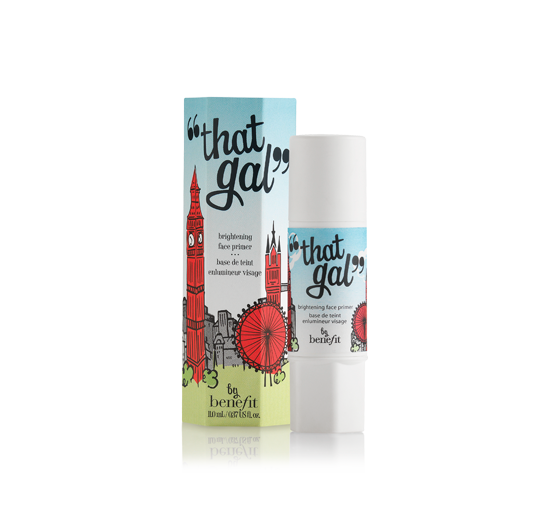 To kick us off, check out Benefit’s limited edition “that gal” Brightening Face Primer, made especially for the Summer 2012 Games. The super cute packaging features enough London landmarks to make you feel like you’re on the way to the Games yourself. Get your game face on! With calming raspberry and chamomile as main ingredients, your face won’t show the heat you’re feeling! Are you guys excited for the games?